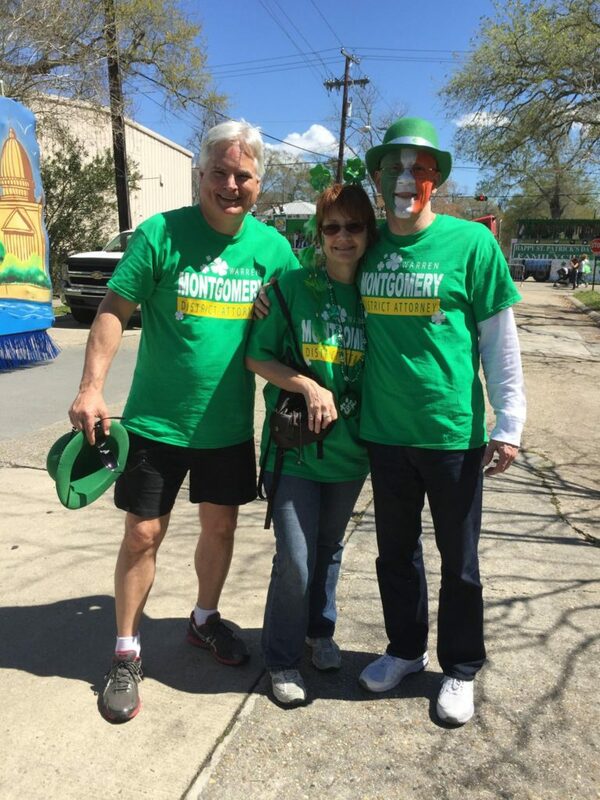 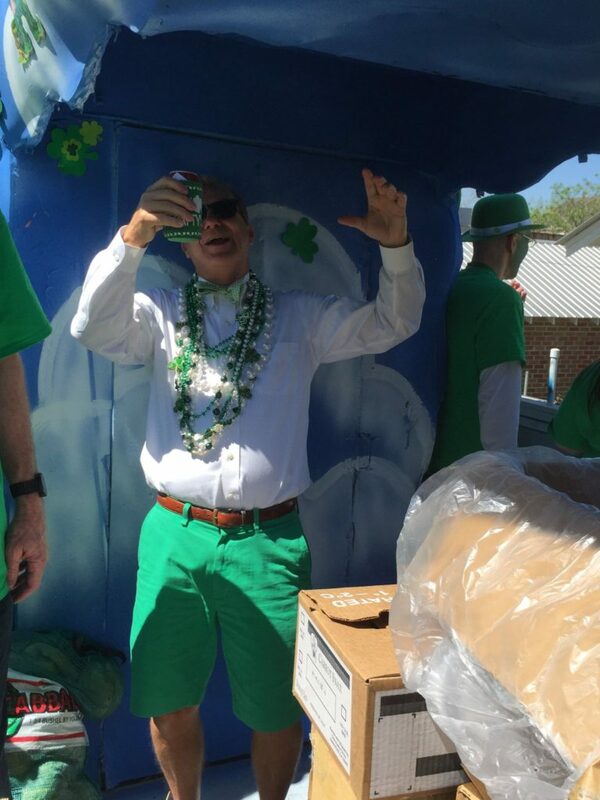 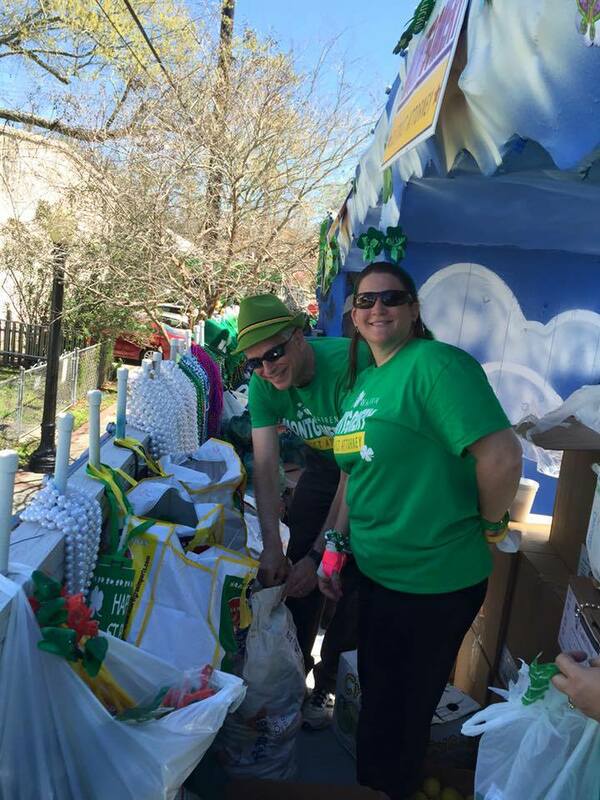 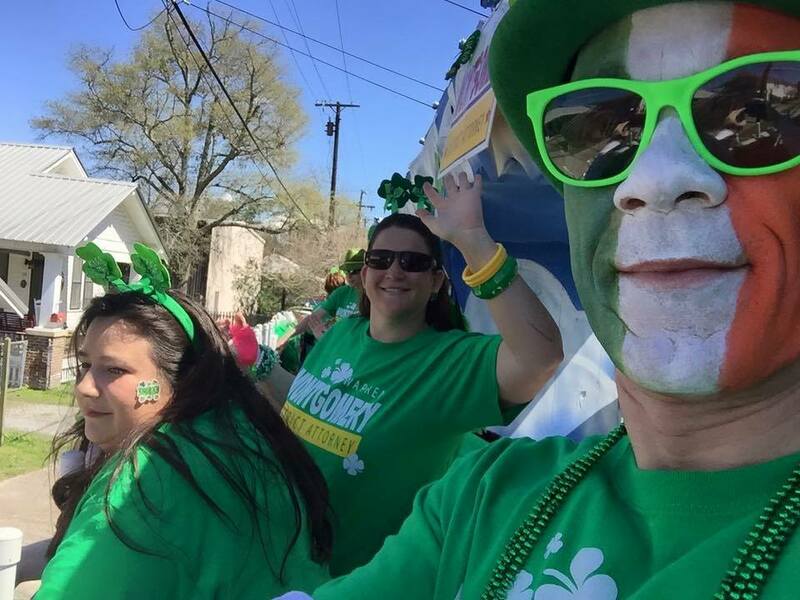 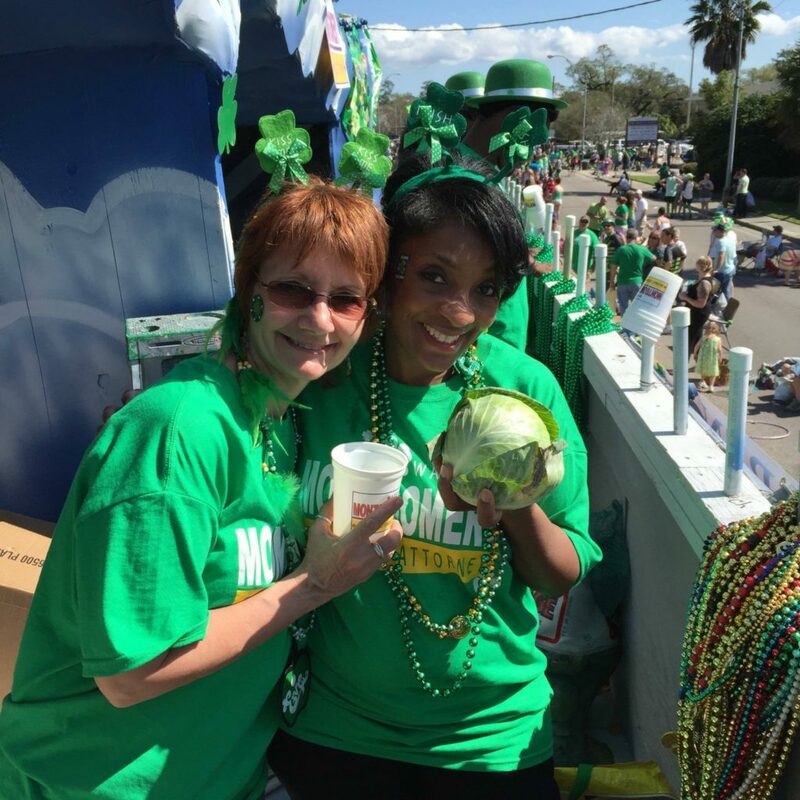 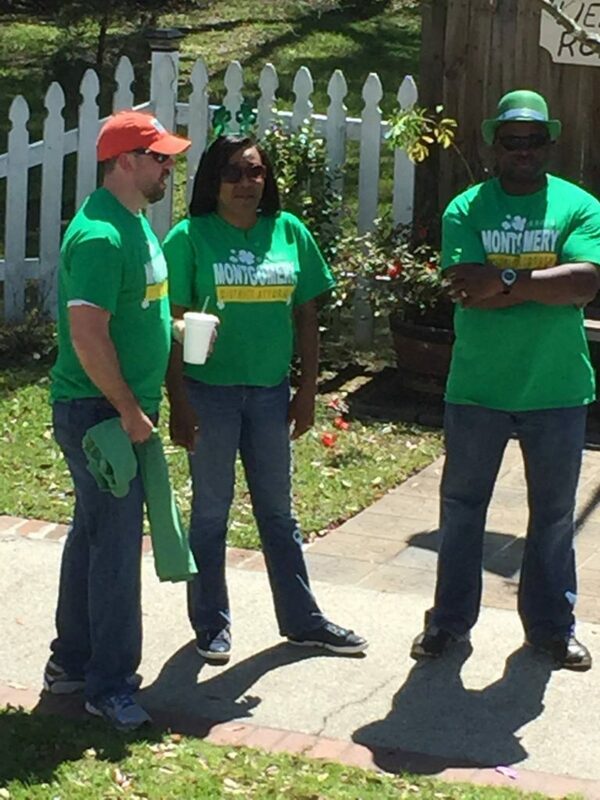 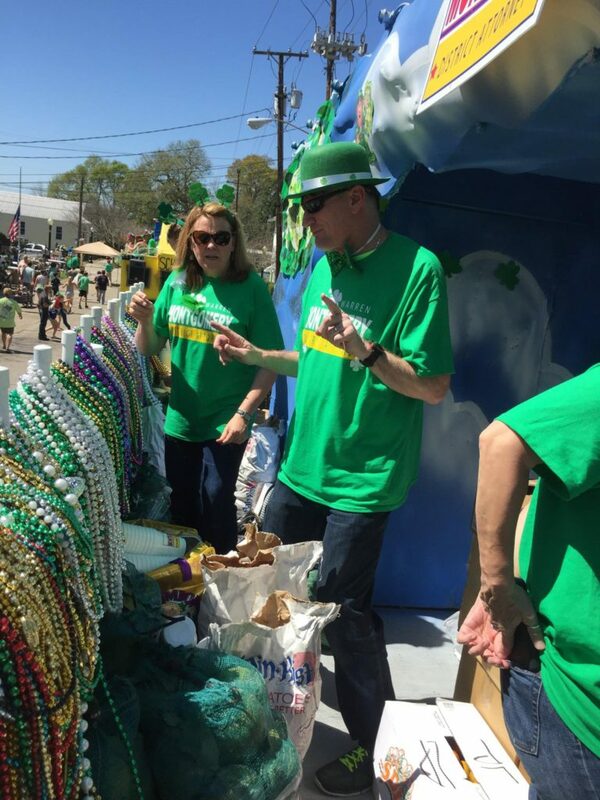 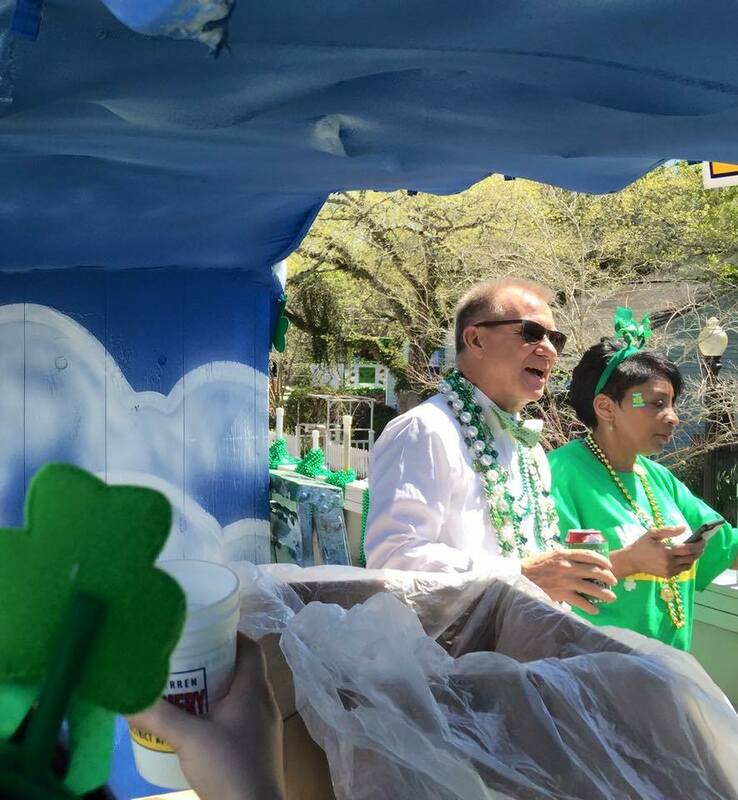 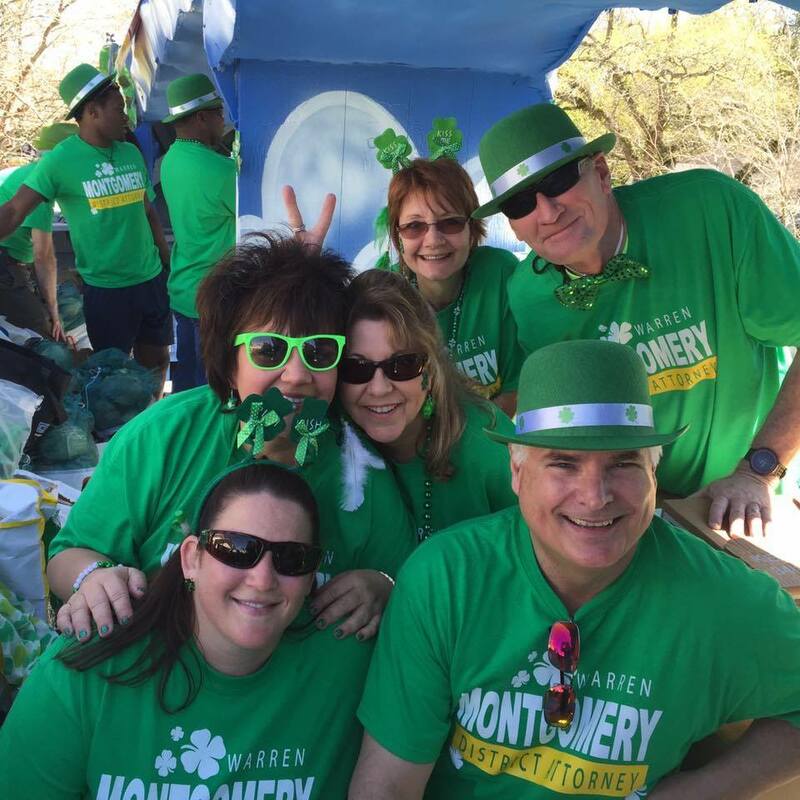 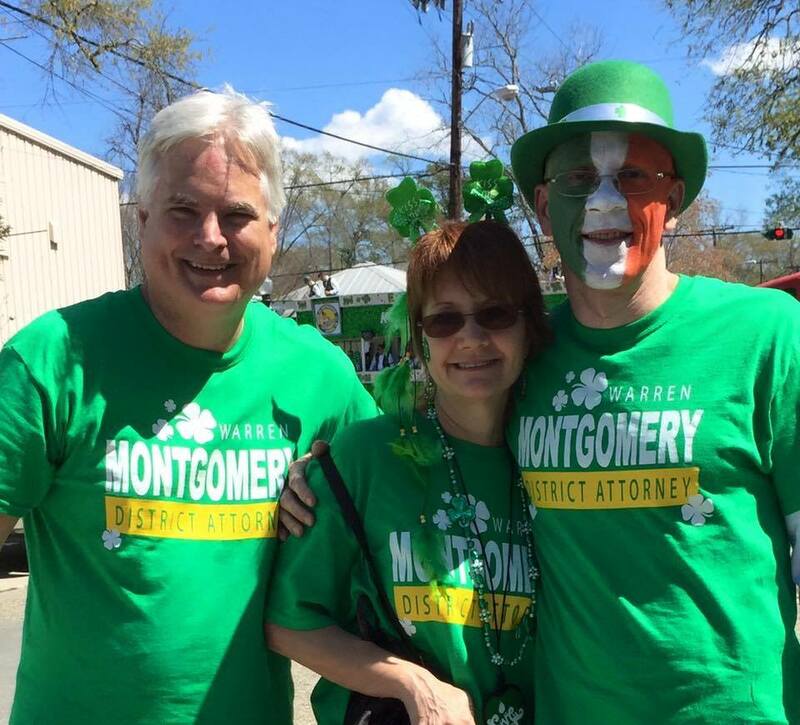 District Attorney, Warren Montgomery, his wife Valarie, daughter Jenny, several employees and guests participated in Slidell’s annual St. Patrick’s Day parade on Sunday, March 13, 2016. 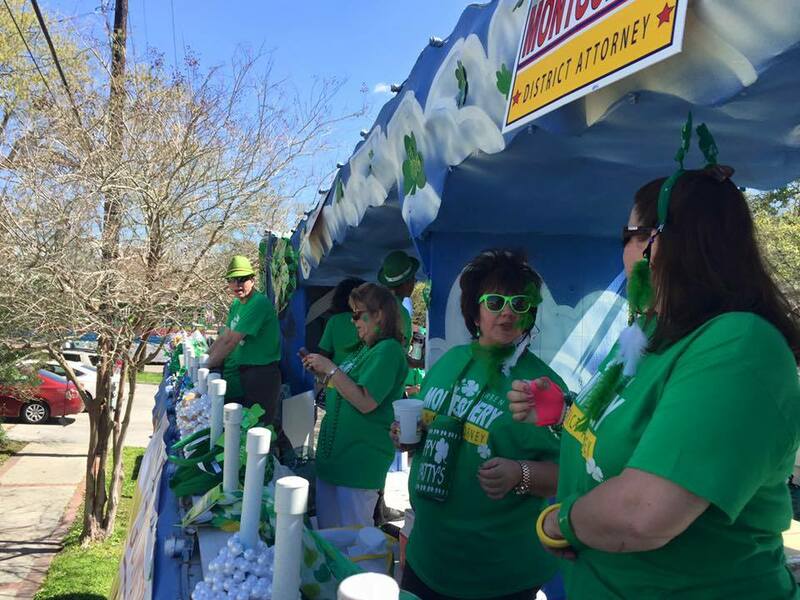 The sunny, clear skies drew large crowds as the parade rolled through Olde Towne. 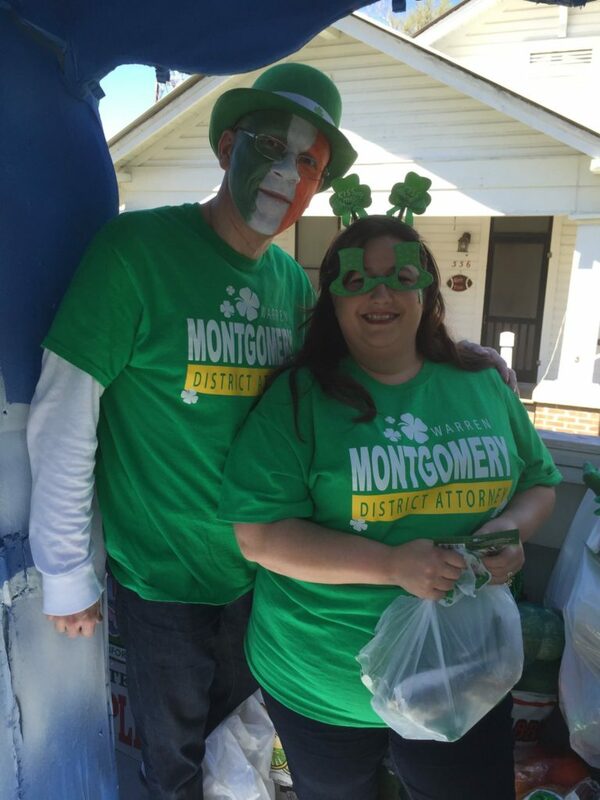 The DA’s Lucky Leprechauns had a blast!